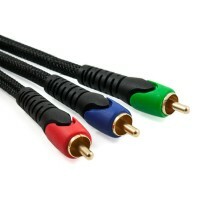 Component Video Cables (red, green and blue RCA connectors for video) offer superior image quality with increased sharpness and detail when compared to common Composite Video Cables (single yellow RCA connector for video). As the video signal is separated to three separate connections, this facilitates a more accurate representation of the video and will provide the highest image quality possible. 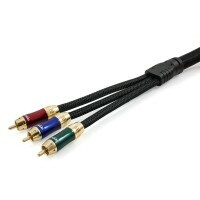 These cables support all component video modes including RGB, YPbPr and YUV. All Component Video Cables Reduced to Clear - 75% Off Across the Entire Range!